RYB listed on the New York Stock Exchange and began trading under the symbol, "RYB". RYB launched the "Hong Shan Enable Alliance". RYB entered into strategic partnerships with Scholastic Inc.
for English literacy content and Erikson Institute for teacher training. 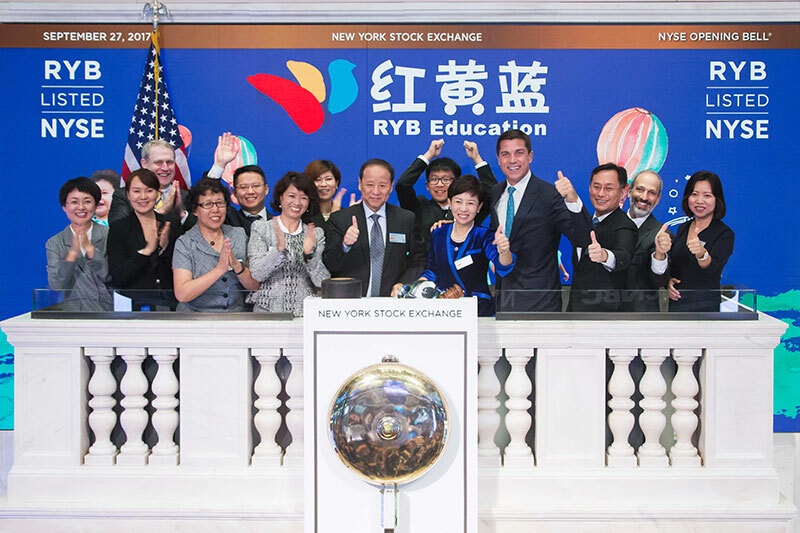 RYB started nationwide expansion and established its first kindergarten outside Beijing, located in Shenzhen. RYB established a well-designed teacher training system. RYB participated in the National Education Science Planning Program of China during the "10th Five-Year Plan" and developed RYB's Multi-Dimension Education Curriculum. RYB opened its first directly operated kindergarten. RYB started franchising play-and-learn centers. RYB established an R&D center and started developing proprietary content and management systems. RYB opened China's first-ever play-and-learn center.